When you need a new roof, you can’t put off getting it done for too long. The cost of a new roof may be high, but so are the risks if you do not act soon. Kanga Roofing is here to tell you about the costs associated with roof repair to help you make an informed decision. What materials and labour go into roof replacement? Roof shingles come in squares, which are 10-by-10-foot in size. An average residential roof will use 22 to 26 squares, and the costs for a square depend on the type of shingles used. Asphalt shingles cost about $120 to $140 per square. Other type of shingles are typically more costly. These include wooden shingles, clay and slate tiles, and metal roofs. Labour costs associated with removing your old roof depend on a few factors. If you have a roof with single layered shingles, you can expect to pay about $100 to $150 per square for removal. Costs will rise for double and triple layered roofs and for roofs that are higher or steeper than usual. In total, a roof completed by a contractor can cost between $5000 and $12,000. Can anything be done to keep costs down? Any method to keep costs down may have consequences on the lifespan of your roof or how well your roof is constructed. Two methods are Do-It-Yourself roof replacement and putting shingles over an existing roof. Like any DIY project, replacing your own roof comes with risks. Without the proper equipment and experience, you are likely to make mistakes that could cost you down the line. A DIY roof could cost as little as $2000, which may seem more manageable now, but you should keep yourself aware of the chance of causing damage to your home or of your roof not lasting as long as expected. Of course, a roof completed by a contractor could also have faults in it. Knowing this, make sure to find out how your roof is covered by warranty whenever you speak with potential contractors. A good contractor will have provide warranties. 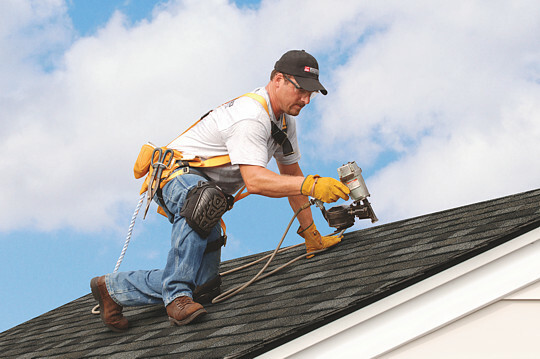 Another cost-cutting method is to hire a contractor to shingle over your old roof. Keep in mind that this will likely reduce by 20% the lifespan of your new roof. When getting your roof replaced, hiring someone who is experienced, honest, and dependable will make the costs worth it. Contact Kanga Roofing if you are looking for roofing contractors in Vancouver to learn more about our services.